Improving accessibility for blind and visually impaired (B&VI) people is a critical and ongoing process. Thanks to my role in Bold Blind Beauty, I have participated in many research projects on the topic of accessibility. The most recent ‘creating accessible makeup packaging for (B&VI) people’ was so exciting I could barely contain myself. Exchanging ideas and coming up with novel approaches to creating more accessible makeup is huge. What this means, in a nutshell, is we are moving in the right direction. So a few days ago, I was thrilled when Faye, contacted me. Faye, a recent fashion and textile designer graduate, working on her Master’s dissertation asked if I could put feelers out in my network. She needs to collect anonymous data to move forward with the project. What was interesting to me is Faye’s reason behind her research. I found out her passion for her work was borne as a result of her mom’s chronic illness. Her mom wanted to look beautiful even when she was at her worst. What influenced Faye to make a difference was her mom’s clothes didn’t last long because of her disability. Hi, my name is Faye and I’m a mature Masters student from the University of Portsmouth. I am writing a paper to identify areas that need improvement in the clothing identification of (B&VI) people. Creating digital labeling solutions will follow. I am looking for participants to complete my survey or just to comment. This will help me understand the processes and what people actually want to know about their clothes for easier identification. The data will be transferred into the labels. Image by Arek Socha from Pixabay. 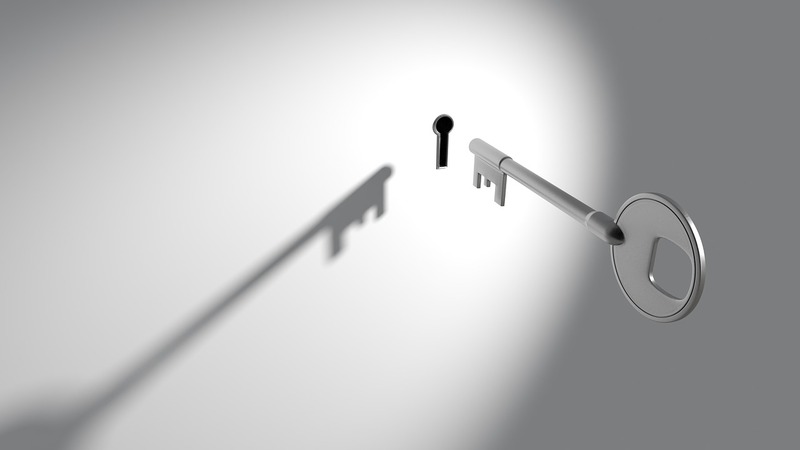 Striking black and white photo of a silver key in mid-air aimed at a keyhole.